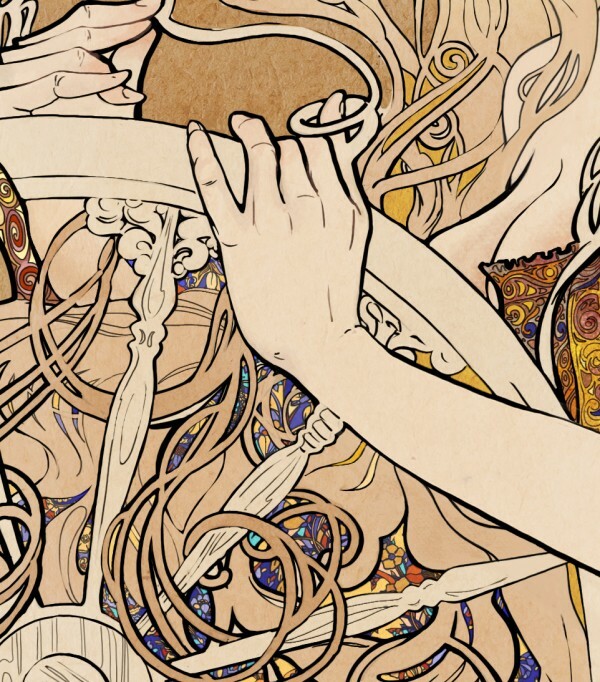 I recently completed this illustration for clients “Straw to Gold” in Los Angeles, California. 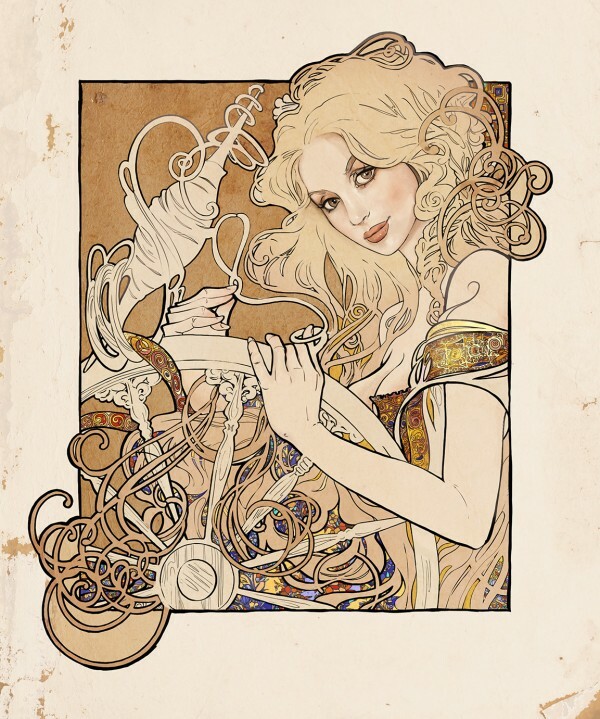 The concept was to create an illustration in an Art Nouveau style of a young woman spinning straw to gold. 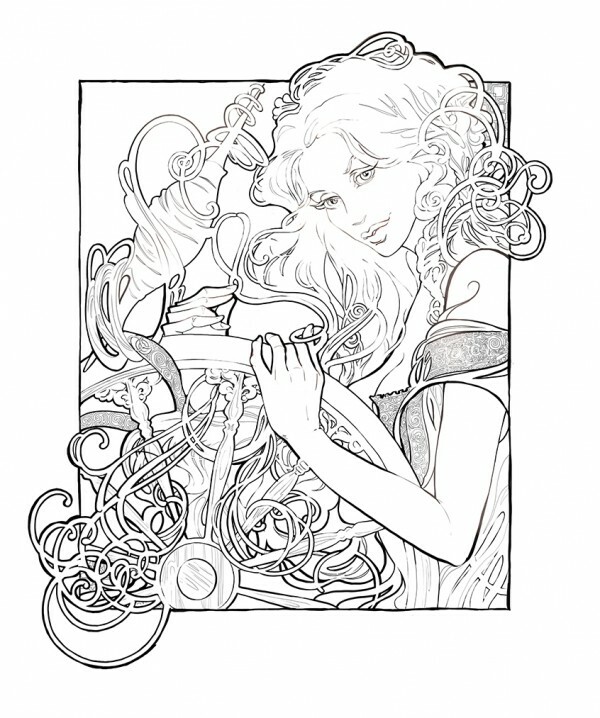 They wanted her hair and gold and the wheel to all intertwine. We worked closely for quite a period of time to ensure that the image was exactly what they wanted, understanding that as their corporate identity, the image needed to resonate perfectly with their goals for their company look and feel. 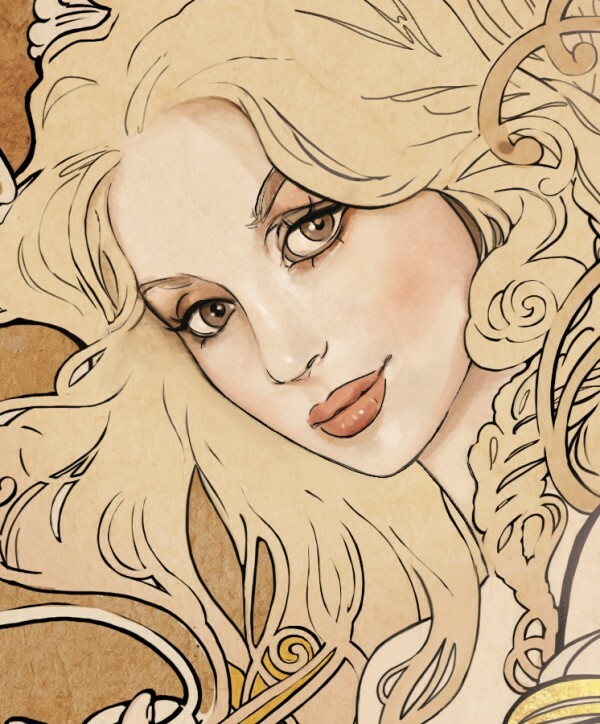 The image was first sketched in multiple drafts before being colored in Photoshop.